Ensure summer is comfortable and safe for your kitties. Our top summer tips for cats include advice on making sure your cat drinks enough water, stays groomed and avoids heat stroke. 1. 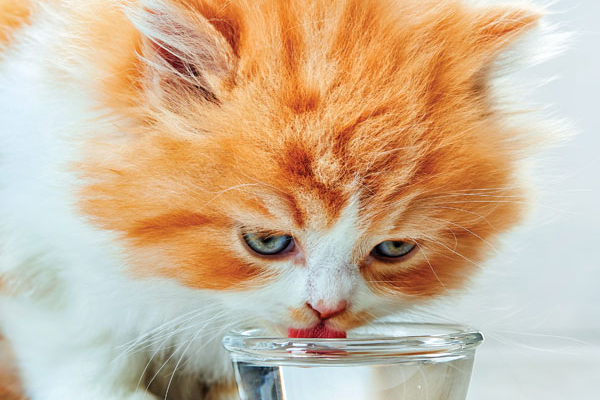 HYDRATE – Make sure your cat is drinking enough water. Make sure your cat has plenty of water when it’s hot outside. Photography by MaraZe / Shutterstock. Just as humans are encouraged to drink lots of water when the weather heats up, so, too, should cats. Always keep fresh water available in several different spots. I throw ice cubes into our water dishes when it is super-hot, to ensure that the water stays cool. If you’re away from home during the day, freeze a plastic dish of water overnight, and put it out in the morning. The ice will melt during the day, providing a continual source of cool water. During hot weather, consider adding an additional water source by putting a water dish in the bathtub (or sink), with water slowly dripping into it, and train your cat to use it as a water dish. Consider a cat fountain with an add-on reservoir which ensures your cat will have a continual source of fresh water. Many Drinkwell fountains have the option of adding a reservoir. It’s especially important to keep senior cats hydrated. They often have compromised kidney and thyroid functions, and keeping them hydrated can save you a trip to the vet. Like many geezer cats, my 18-year-old, Rocky, will nap all day, looking like a melted pool of butter, not stirring to eat or drink. I make a point, every hour or two, to take the water dish to him, and encourage him to drink, which he usually does with gusto. 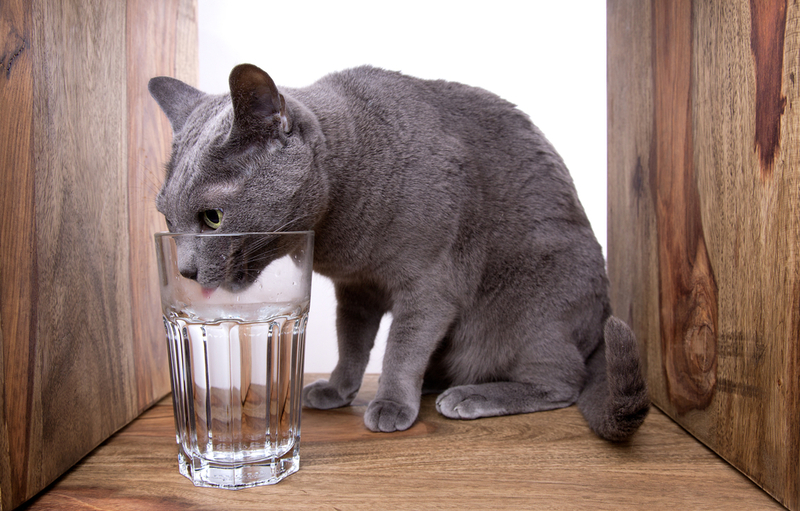 When your cat is thirsty, she’ll try to drink anything, whether it’s safe for her or not, so eliminate any dangerous sources of water. Indoors, this might include a toilet. If you use chemical self-cleaners (or if family members are lax about flushing), keep the lid down. Outdoors, empty any standing water receptacles that can harbor dangerous bacteria and parasites. Not necessarily popular with cats, but it does provide a temporary respite from the heat. Soak a medium-sized towel with water until it is saturated. Drape it around your cat, then squeeze out the towel’s water onto the cat, and rub a bit so that the water reaches the skin. The towel method is less traumatic than a bath, and quicker and easier to administer. 2. FURMINATE – Keep your cat properly groomed. 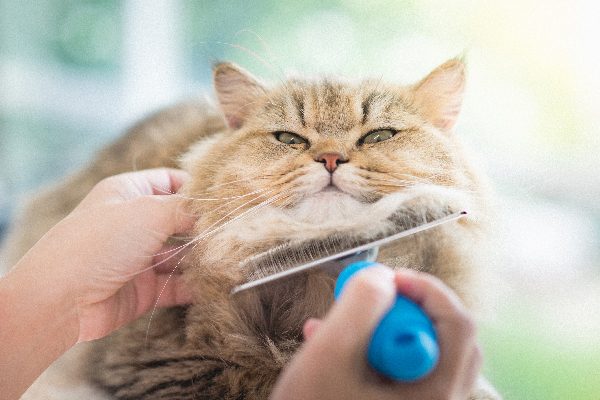 Grooming a cat is another summer essential. Photography ©anurakpong | iStock / Getty Images Plus. With each heat wave, your cat’s body is likely to shed mountains of fur. This is prime hairball season, so take care to groom your cat daily with a deshedding tool. There have been cases where hairballs the size of baseballs were removed from the stomachs of cats, and most of these cases are preventable with regular grooming. Signs of a major hairball problem and possible impaction are vomiting, constipation, diarrhea, loss of appetite or a swollen abdomen. See your veterinarian immediately if you suspect your cat is impacted. Another important note — keeping your cat groomed does not mean shaving your cat. See why shaving your cat won’t help him this summer. 3. EDUCATE – Keep an eye out for heat stroke in cats. Know the signs of heat stroke in cats. Photography ©krblokhin | Thinkstock. 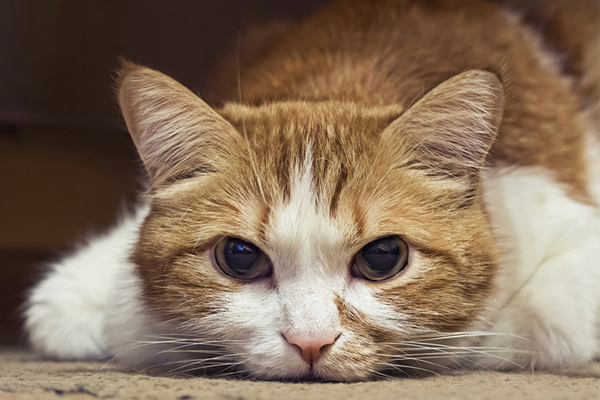 Keep tabs on your cats during hot weather, and monitor them for signs of heat stroke in cats. Take a minute or two now to educate yourself about the symptoms and emergency treatment for hyperthermia. Heat stroke in cats is life-threatening, and knowing proper first aid can save your cat’s life. Even suspect your cat has heat stroke? Here’s what to do. Photography by Nikolay Bassov | Shutterstock. If you suspect that your cat is a victim of heat stroke, take her temperature. It should be between 100.5 and 101.5 F. A temperature above 104 is a definite warning sign of hyperthermia. A cat with moderate heatstroke (body temperature from 104 to 106F) can recover within an hour if given prompt first aid and veterinary care (normal body temperature is 99.5-102.5F). Severe heatstroke (body temperature over 106F) can be deadly and immediate veterinary assistance is needed. If you believe that your cat is suffering from heat stroke, you must first take immediate measures to cool her down. Move her to a cool area, apply wet cold towels or immerse in cold water. Apply ice packs to the head. Remove the cat from the hot area immediately. Prior to taking him to your veterinarian, lower his temperature by wetting him thoroughly with lukewarm water, then increase air movement around him with a fan. CAUTION: Using very cold water can actually be counterproductive. Cooling too quickly and especially allowing his body temperature to become too low can cause other life-threatening medical conditions. The rectal temperature should be checked every 5 minutes. Once the body temperature is 103F, the cooling measures should be stopped and the cat should be dried thoroughly and covered so he does not continue to lose heat. Even if the cat appears to be recovering, take him to your veterinarian as soon as possible. He should still be examined since he may be dehydrated or have other complications. Allow free access to water or a children’s rehydrating solution if the cat can drink on his own. Do not try to force-feed cold water; the cat may inhale it or choke. What cats are most at risk for heatstroke? Brachycephalic cats like Persians are more at risk for heatstroke. Photography ©Olivia | Thinkstock. 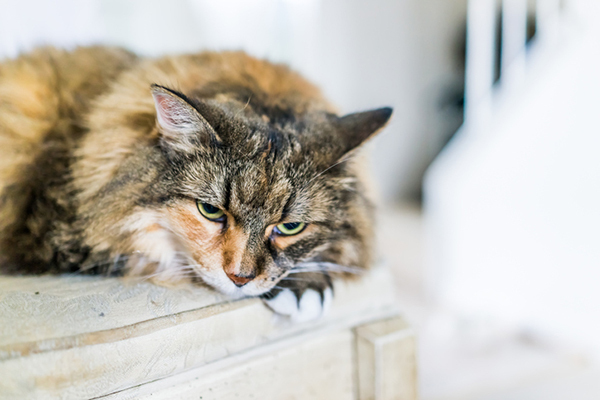 Keep in mind that cats who suffer from heatstroke once increase their risk for getting it again and steps must be taken to prevent it on hot, humid days. 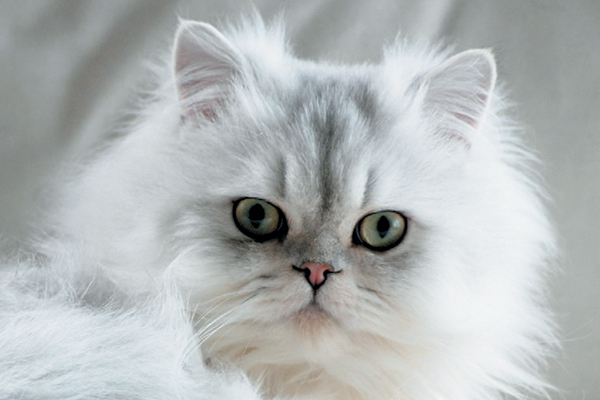 Snub-nosed or brachycephalic cat breeds (like Persians and Himalayans) are especially vulnerable. The cats need a grooming session frequently, where the coat get the fresh air circulated & get a chance to know whether its coat is been affected by the fleas or mice, etc… Even the cats have a normal shedding, where it is to be cleaned. As well, the cats don’t drink much water. To avoid dehydration, we should provide them with the wet form of food, which are available in multiple flavours from Royal Canin, Whiskas, Bellota, etc. Important information for cat owners and people who just love cats! One thing I would like to add is when it’s extremely hot outdoors, people please set out multiple bowls of clean water for any animals that might wander by. Thank you! a really helpful, helpfully detailed piece for cats in summer. thanks!